Facebook has been a leading social media platform for hundreds of millions of users all over the world. This is a great platform for users to share videos, posts, photos and connect with friends all over the world. One of the features in Facebook is Facebook Chat. Facebook Messenger is available online and on mobile devices. 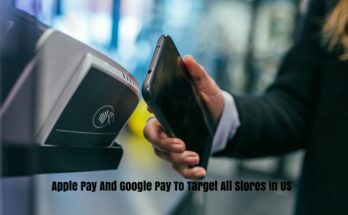 Android’s Google Play and Apple’s App Store both have Facebook Messenger apps for their users which are used to connect with Facebook friends through mobile phones. Facebook keeps upgrading and changing the design and features of its various platforms and usually new changes are announced at their annual conference. In last May, the Facebook F8 Developer conference took place and it was announced that Facebook is going to change the design on Facebook Messenger and gradually roll out the Facebook Messenger Redesign. The redesign of Facebook Messenger has a simple chat client feature. This makes it easier for users to chat without distractions. There are only three tabs instead of nine tabs that were previously included in the design to give a simpler and easy to use look to Chat. This consolidation helps give a much cleaner look to Chats on Facebook Messenger. The three tabs that are included in the new feature of Facebook include one tab for a chat, one for contacts and one tab for games and chatbots. This makes surfing through the features of Facebook Messenger very user-friendly and easy. Though Bots, Games, and Reminders are still available on Facebook Messenger they can be hidden behind a new icon so that the user interface is much more simplistic and not crowded. All the functionality features of Facebook Messenger Chat will still be available but there will be no crowding of the features. Facebook has redesigned the user interface in such a way that there is a lot of white space in the design and there is no crowding of icons and features. It makes the user interface more effective and easy to use. The “favorites bar” is removed and Facebook Messenger shows a band of friends that Facebook thinks users would want to chat with on Messenger. The new redesign has an all-white aesthetic look and currently does not include a night mode feature. There are no new features and most of the old features have been retained by Facebook Messenger in the new redesign. 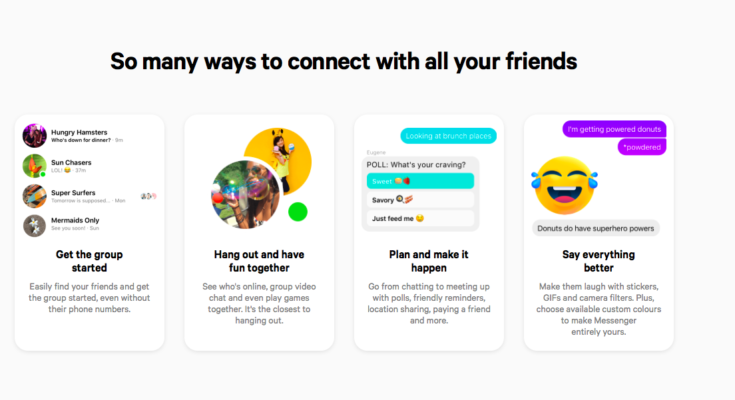 However, the goal of the redesign is to make Facebook Messenger clearer, cleaner, and more easy to use for users on their mobile smartphones. Though select users were able to use the Facebook Messenger app with the new redesign in September, the larger rollout of this redesign to the public was kept under wraps. Many companies partially roll out their new redesign so that they can gauge public response and fix any possible problems that can arise out of the launch of the new redesign of the platform. Facebook Messenger entered a prolonged rollout period for the Facebook Messenger redesign and now in 2019, Facebook has finally rolled out its Facebook messenger redesign to the entire market. The new Facebook Messenger is available on App Store for Apple Users and Google Play Store for Android smartphone users. 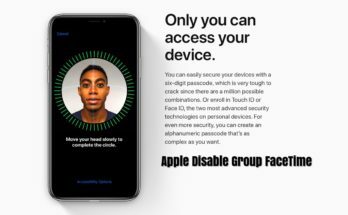 Most updated iPhones and Android smartphones will be able to download the latest updated version of the Facebook Messenger. 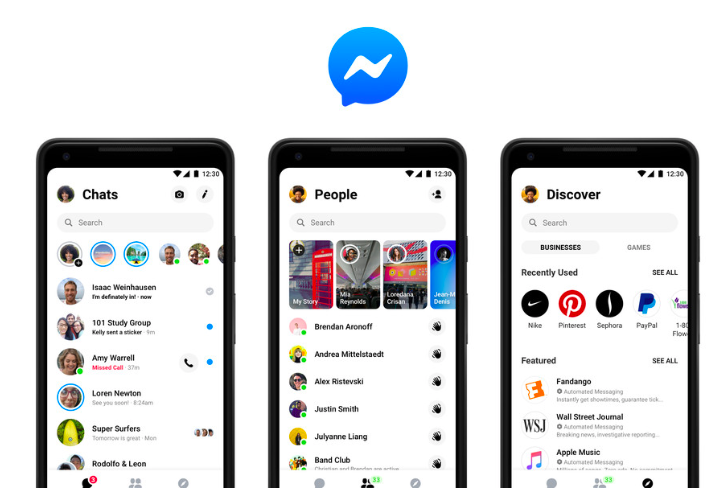 Facebook has confirmed that the messenger service app with the latest redesign is available at all the operating system platforms. Facebook, however, added a caveat to this announcement. They say that it might take some time for everyone to get the new Facebook Messenger Redesign Update. The reaction by the public on the whole to these new changes has been mixed. Most of the users are liking the fact that Facebook is trying to make design changes to make the messenger app more user-friendly. But some people resist change and like their chat as it was. So like every other change, Facebook has made in the last 10 years, this change is also being criticized by some who liked the old version that they were more comfortable with. Facebook Messenger redesign is a major development in Facebook and now this change is available for all the users of Facebook.